China consistently respects the Indian people's religious sentiments and attaches importance to" the pilgrimage, said Chinese embassy in India Consular Xie Liyan. 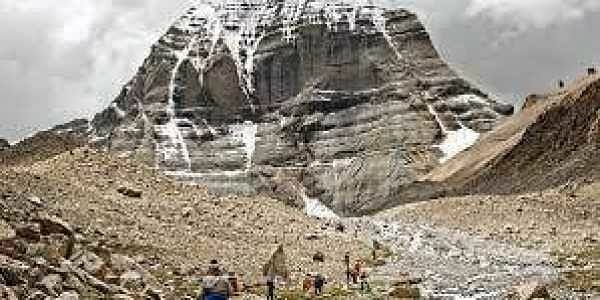 NEW DELHI: The Chinese embassy here today said China was willing to discuss the possibility of alternative arrangements through other routes for Kailash Mansarovar pilgrims who had planned the journey via Nathula Pass, suggesting that the mountain pass in Sikkim was not open anymore for the pilgrimage. In a statement, spokesperson of Chinese embassy in India Consular Xie Liyan said, "The official yatra through Lipuleku Pass and non-official yatra through Lhasa and Purang are still on the rails." "Indian yatra to Kailash and Manasrovar is an important part of China-India people-to-people and cultural exchanges...The two sides agreed that a total of 350 yatris in seven batches would take part in yatras to Xizang through Nathula Pass this year," she said. "However, days before the departure of the yatris the Indian border troops crossed into the Chinese territory and obstructed the Chinese border troops' normal activities in Doklam. To ensure the safe and smooth visit of Indian yatris, China has to halt their entry into Xizang through Nathula Pass," she said. The spokesperson also said the Chinese side had notified the Indian side through diplomatic channel. "China consistently respects the Indian people's religious sentiments and attaches importance to" the pilgrimage," she said. While the statement alleged that the Indian border troops crossed into the Chinese territory, India has maintained that it was "deeply concerned at the recent Chinese actions and has conveyed to the Chinese government that such construction would represent a significant change of status quo with serious security implications for India". "According to statistics of Xizang authority, the Chinese side received about 1,000 official yatris and more than 10,000 non-official yatris every year. The Indian government and people from all walks of life have expressed appreciation and gratitude to the efforts by China," the Chinese embassy statement said.